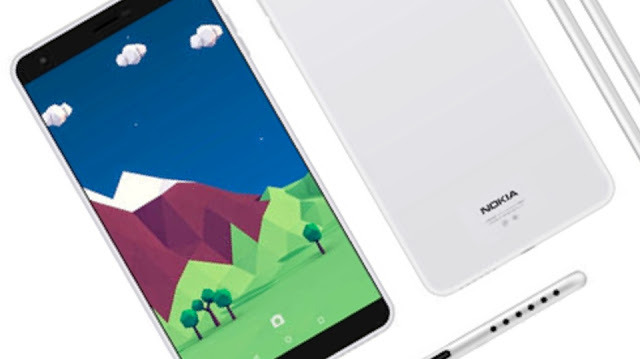 The Nokia DC1 has been on trend lately and most people thinks that Nokia is coming back with DC1 been an Android smartphone. Currently, the upcoming DC1 has been listed on the GFXBench and has revealed that the device is not a smartphone, that its actually a tablet. Earlier leaks of the DC1 did not actually show its display. Now, as the D1C passed GFXBench, it has clearly revealed that its display size is 13.8-inch which clearly indicated that the device will certainly be a Tablet. 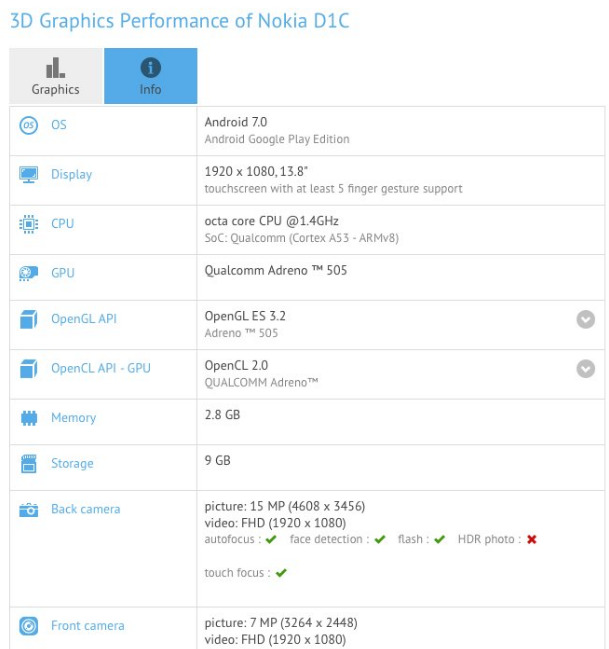 Coming to the other specs, Nokia D1C will be powered by an Octa-Core 1.4GHz Snapdragon 430 chipset with 3GB of RAM and Adreno 505 GPU. It will have a 16MP rear Camera with 1080p video support and an 8MP front-facing Camera and will come with Android 7.0 Nougat out of the box.